Moonscoop is the company that produces and makes Code Lyoko! CodeLyoko.fr is privileged to work closely with them and is known to Moonscoop as the official community fansite. Here, you'll discover all there is to know about Moonscoop, from the different students, firms and media it owns to the link uniting it with CodeLyoko.fr. Most of the information presented here comes from their old official website. Following a long internal conflict, Moonscoop no longer exists. So as not to take sides, we'll send you to "Press Review". There you'll find a PDF entirely dedicated to this internal conflict: it summarises all the press articles about it, from the start to the end of Moonscoop. That will give you a look at all the whys and therefores. Between June and July 2013, a latent conflict reached its peak. It pitted the Di Sabatino brothers, creators of the company but non-marjority shareholders, against other shareholders, notably a certain Joël Vaturi, an American who reproached the Di Sabatino brothers over certain aspects of the way they ran the company. The company runs into difficulties due to the repeated processes orchestrated by Vaturi and is goes into receivership. 1st of August 2013: The Di Sabatino brothers are revoked of their mandate. A judiciary administrator takes the reins of the company shortly afterwards. End of 2013: The commercial tribunal of Paris looks into ways to recover Moonscoop. Start of 2014: Moonscoop's catalogue is bought by the Dargaud group. Moonscoop is doomed to disappear and its licences, including Code Lyoko, are now property of Dargaud. The sections below are "archived". They were written in 2011/2012 and have been left as testimony. The announcement of Code Lyoko Evolution was made in a troubled context. The large and strong community of Code Lyoko fans that had struggled at the end of season 4 to get a sequel to the series, with petitions and other actions during the years from 2008 to 2010, ended up going into a state of deep lethargy because of the lack of news. 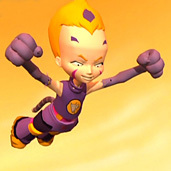 To revive the Code Lyoko machine, Moonscoop made a large communication campaign for the series. It was a question of reawakening this great sleeping community, thanks to which that project had finally recommenced. For this, Moonscoop focused on events (casting, cosplay) and publishing videos (teasers). However, they also needed to reactivate the community management. That's the task Moonscoop has entrusted to the famous French community fansites with impressive content and chose to work with them closely to promote Code Lyoko Evolution. For many years, CodeLyoko.fr has been the most visible fansite on the web (first Google result ahead of Wikipedia and the official website codelyoko.com), as well as one of the largest fansites due to its content (the sections and files among the most complete on the web), its original propositions (for example, the creation of the LyokoStats system), and its visual and organisational quality. 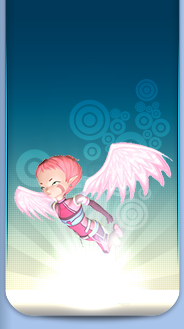 Moreover, the site has one of the last active Code Lyoko forums on the web. 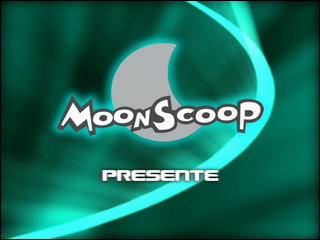 Besides, CodeLyoko.fr had already worked with Moonscoop on several occasions (contest with prize provided by Moonscoop, preview of season 4, interview with Miss S. before season 4). From that, Moonscoop and CodeLyoko.fr began to make contact. A team has been recomposed on the site, a hybrid of old and new members from the forum. Now, CodeLyoko.fr and Moonscoop work in close collaboration in a partnership that is supposed to be mutually advantageous. Moonscoop's objective is to make CodeLyoko.fr, because of its large amount of content and its active community, the heart of the French community, as well as a "showcase" of the community effervescence of Code Lyoko, which is a real help in the promotion of the series and its introduction to various funding companies. The CodeLyoko.fr team is, among other things, linked to the various people of the Moonscoop team working on Code Lyoko Evolution (a community manager, a person in charge of marketing, a person in charge of social media, etc...). Communication between Moonscoop and CodeLyoko.fr is done by a member of the team who has the exclusive role of doing this and is in regular contact with our various contacts. - 5 December 2012: The CodeLyoko.fr team receives 5 invitations for the Code Lyoko Evolution advance screening. They are able to enter the room early to interview the creators. On the day this page was updated, the 29th of September 2012, the teaser presenting the virtual part of Code Lyoko Evolution is newly published by Moonscoop's various communication medias, relayed by CodeLyoko.fr. The same day, CodeLyoko.fr exclusively reveals the new photo of the actors in costume on the MIP promotional poster. With tens of comments on the news, a peak in the number of visitors when the teaser appeared, excitement on the forum that hadn't been seen season 4 (through the creation of numerous discussion topic) and hundreds of posts being made on the forum to talk about this teaser, CodeLyoko.fr became the heart of the active French Lyokofan community and continues its effort to become, as Moonscoop wants it to be, the "showcase of the French Lyokofan community". Moonscoop is a leading society in world entertainment production, in their distribution and management of related brands. It is focused on the production of original projects and the creation of internationally-oriented and sustainable brands. It is the the most prolific world producer of animation, producing many hours of original programmes from its offices in France and in the USA. The company hires some of the best producers of animation in the entire world and is reinforced by a network of media promoting the distribution of programmes to young people through new platforms such as IPTV, mobile phones or VOD. Among its licences, Moonscoop has many successful programs that are most popular on the world television market and its series represent 3000 half-hours of broadcasting in more than 160 countries around the world. Moonscoop's flagship series include, among others, "Code Lyoko", "Fantastic Four", "Titeuf", "Pet Alien", "Dive Olly Dive!" and "Casper", licensed in many markets around the world. The company produces an average of 4 to 6 new important series each year and employs more than 350 worldwide. Based in Paris, the company also has offices in Los Angeles, Angoulême, Le Rochelle, Luxembourg and Wales. Moonscoop's distribution service's mission is to export the company's vast catalogue of programmes around the world, consisting of over 100 titles and 3000 half-hours of programming. Conducted by Lionel Marty, President of World Distribution, the service is composed of sales teams based in Paris, Los Angeles and China, as well as a group of sales agents in several select regions. In 2007, the Distribution Service was the first to receive the "Distributor of the Year" award following a vote by readers of Kidscreen Magazine for its innovative technology and success in international sales. Since this date, the service has been among the finalists every year. Moonscoop also has a Marketing and Related Products department, spread between the Paris and Los Angeles offices. Cynthia Money is chairman of it and supervises the teams' day-to-day operations. They manage the brands and licences to develop related products and build fan communities. 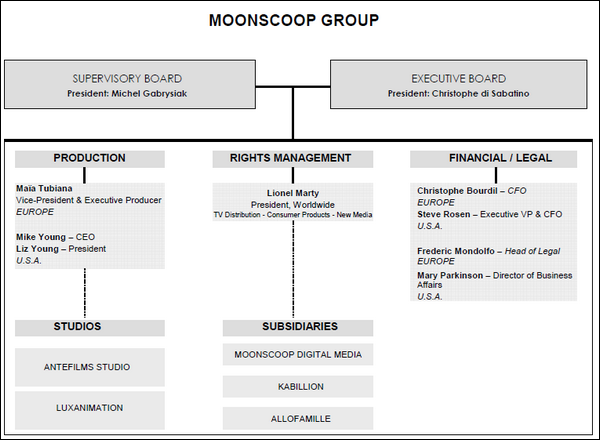 Christophe and Benoît di Sabatino are the co-executive chairmen of Moonscoop, having originally co-founded the company during the fusion of their studio Antefilms Production with France Animation in 2003. 1984: Creation of the France Animation company, which is the oldest in its sector. The company is quickly accepted as one of the principal companies on the French market. 1990s: The company develops its activities then starts to gain international notoriety mainly thanks to its coproduction partnership with companies such as CINAR (Canadian) or Ravensburger (German). 1993: France Animation, the BBC, RAI and France 3 create their its international success: "Albert the 5th Musketeer". 1996: France Télécom buys France Animation. 1999: The company tries to diversify itself by creating a structure dedicated to the distribution and enlargement of its offers. From 2000 to 2003: France Animation develops mostly famous series such as: "Vampires, Pirates and Aliens", "Titeuf", "Dr Dog" and also "Petit Vampire". 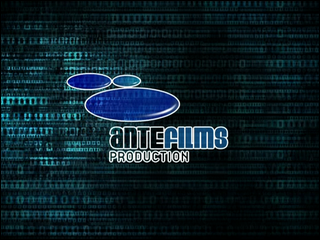 1990: Creation of Antefilms Production by brothers Christophe and Benoît Di Sabatino. 1994: The company makes an excellent entry into youth programmes and is visibly a pioneer of French animation and the integration of 3D into 2D. Its first creation is "Les pirates de Noël" (The Pirates of Christmas). From 1994 to 1997: The company preserves and improves its position as a children's cartoon producer. 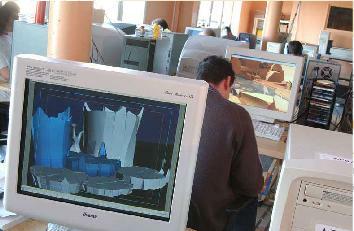 It founded new connections and also created a 3D studio in Angoulême. 2000: Thanks to the series "Funky Cops", the company conquered the global market. From 2002-2003: Antefilms improves its position among all broadcasters from France and abroad. 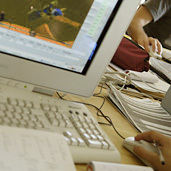 Moonscoop was born in 2003 during the fusion of Antefilms Studio and France Animation. In 2005, the Di Sabatino brothers audaciously continue the international growth of the company by buying a major part of "Mike Young Productions" and "Taffy Entertainment", the most important independent publisher of animation in the USA, located in Los Angeles. It's now known as "Moonscoop US". In 2006, Moonscoop acquires 60% of LuxAnimation shares, one of the most influential companies in the animation world. From there Moonscoop launched several new platforms aimed at teenagers and children: the channels Kabillion (USA) and Taffy Kids (Europe). Although most of the programmes produced by Moonscoop still appear on traditional TV channels, Moonscoop has anticipated the near future and can now esaily adapt all its series into any kind of format. The written Bible, the story, episode scripts and the storyboards are made by the writing teams led by the writing director (Miss Sophie Descroisette for seasons 1 to 3 and Bruno Regeste for season 4). You'll learn just below that most of the production happened in Charente, in Angoulême. From that, you'll certainly wonder why a part of the production team remains in Paris. The response is stupid and mean: they need to be near the broadcasters who are interested in the series (France 3, Canal J, Cartoon Network, etc...) and these companies make their home...in Paris. One small exception for Code Lyoko: the 2D preproduction was done in China, in Asia! 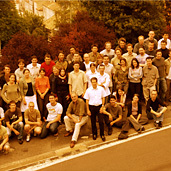 A subsidiary of Antefilms Production, Antefilms Studio, created at the end of 1997, relocated to Angoulême at the end of 1998. This was for two reasons: on one hand, the attraction of Megalis, the territorial development project born in Charente, which made the general council give some help to the productions happening in Charente, rather than anywhere else. On the other hand, the taxes are cheaper in Angoulême than in Paris. Antefilms Studio is a company that specialises in 3D animation, as well as integrating 3D into a 2D universe. 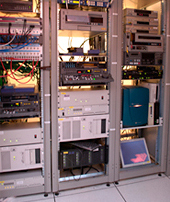 Located on two 240m² sites, Antefilms Studio has around sixty workstations and a local tech room where the data servers and computers are located. 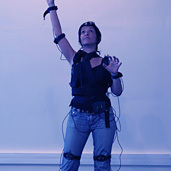 The motion capture workshop completes these technical resources and gives the studio perfect autonomy in order to answer all its production needs. As for staff, there were only 32 people working on Code Lyoko, and 60 in total on the whole series. 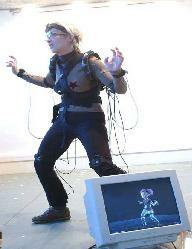 The studio is equipped with a motion capture stage (magnetic system with wireless technology), which has especially allowed them to create part of the animated dance scenes in Funky Corps. 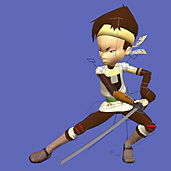 It should be noted that motion capture is no longer used for Code Lyoko because it was not suitable. So, the animation for Code Lyoko is now done in the traditional way. The software used is XSI Softimage for the 3D, and Macromedia Flash for the 2D. Maya and 3Ds Max aren't in use anymore: they are no longer used for the episodes of Code Lyoko, but they were used in Garage Kids. Nowadays, Antefilms Studio works on image creation, thanks to their famous know-how and teams made up of a wide range of technical and artistic talents (designers, modellers, animators, graphic artists and special effects people). The studio produces for television and cinema, for animated series and commercial films, images whose common denominator is technological innovation and quality.